Monster®, the world leader in high-performance personal audio, is set to launch its first TV commercial during the NBC broadcast of Super Bowl LII between the New England Patriots and the Philadelphia Eagles on Feb. 4. 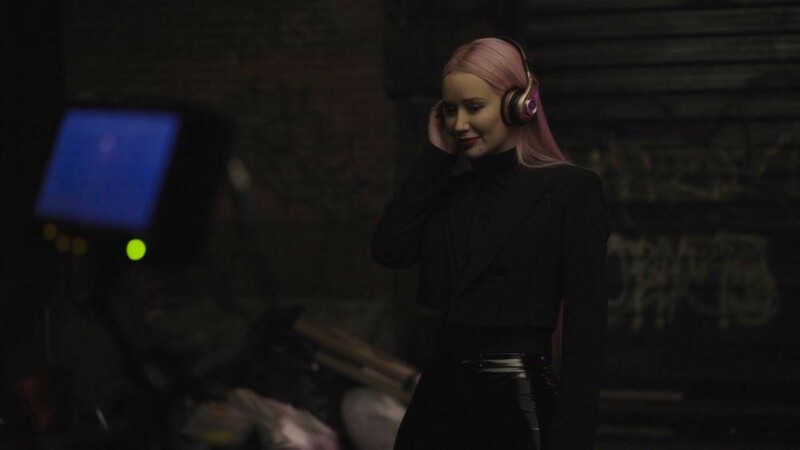 Scheduled for the second national break in the 4th quarter, the engaging musical spot features the debut of the theme song “Savior,” the highly anticipated single by multi-platinum and Grammy nominated phenomenon Iggy Azalea featuring Quavo, which is set to release on February 2. Joining Azalea in the ad is a star-studded cast of artists spanning virtually every music genre, including legendary Aerosmith guitarist Joe Perry, chart-topping hip hop icon Yo Gotti, Big & Rich country star Big Kenny, singer, dancer, actor and TV personality Joey Fatone, songwriter/producer Poo-Bear, reality TV star and entrepreneur Jonathan Cheban, radio host/TV personality Charlamagne tha God, as well as the award-winning DJ Irie and musical artist and influential YouTuber RiceGum, who plays the young “Head Monster” Noel Lee. Head Monster Noel Lee and Monster COO Fred Khalilian appear as themselves at the end of the spot. It’s expected that the Monster’s Super Bowl ad will have over 100 million viewers, with another 100+ million views from a follow-up longer version YouTube spot. Worldwide viewership is anticipated in excess of 300 million people. The spot was produced by the NBCUniversal Content Innovation Agency. The 60-second spot is based on the inspirational real-life story of Monster founder and renowned audio engineer Noel Lee – highlighting his lifelong quest to bring better music sound to the world. Set in New York City, the spot follows the young Noel, living in a drab, uninspiring world where people listen to music using only the plain ear buds that come with their phones. Inspired by a beautiful singing voice he hears on the subway, Noel returns to his garage workshop where he creates Monster – the groundbreaking audio company whose products ultimately change the world into a vibrant, colorful place where powerful, great sounding music brings people together. Having built the empire of Beats that sold to Apple for $3.2 billion, Noel Lee was exited from that transaction. The workshop scene highlights Noel Lee’s career of cable and power products that litter the table. The rich history of Monster’s products are highlighted, but the advanced new products are rocked with celebrity talent in the video. The song “Savior” is the perfect theme of young Noel, who is driven to bring the sound and emotion of “live” music in a way that no one else had done it. Explore the world of Monster at monsterstore.com. To become a fan of Monster® products, please follow us on Facebook or Twitter.